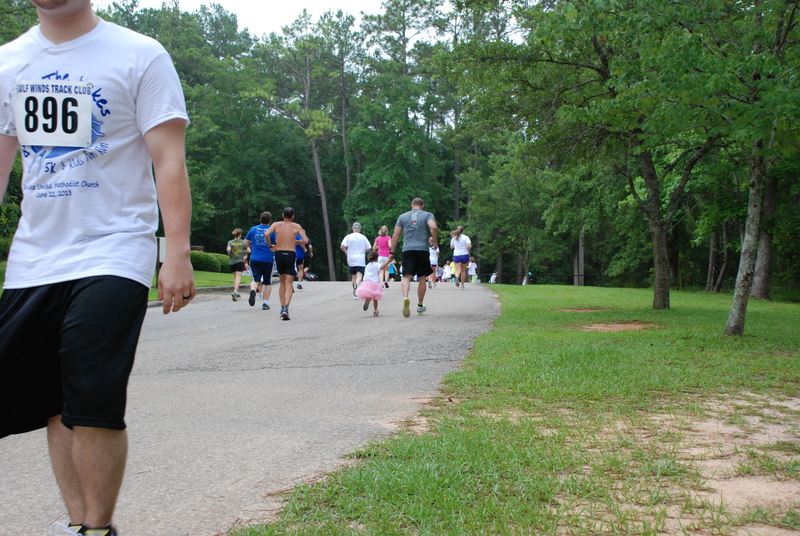 The night before the Inaugural Run Around the Lakes 5k, I realized I was nervous and a bit anxious. 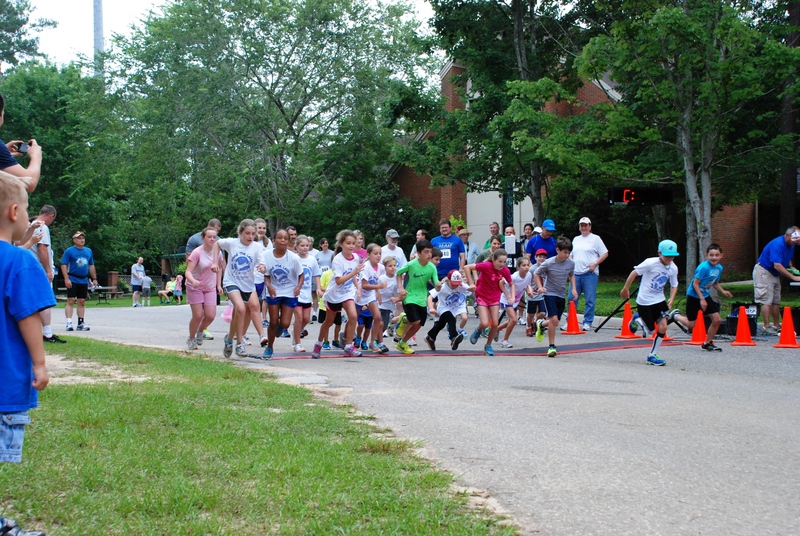 For the past two years, all my 5ks had been run while pushing two little girls, unless the 5k was at then end of a swim and bike. 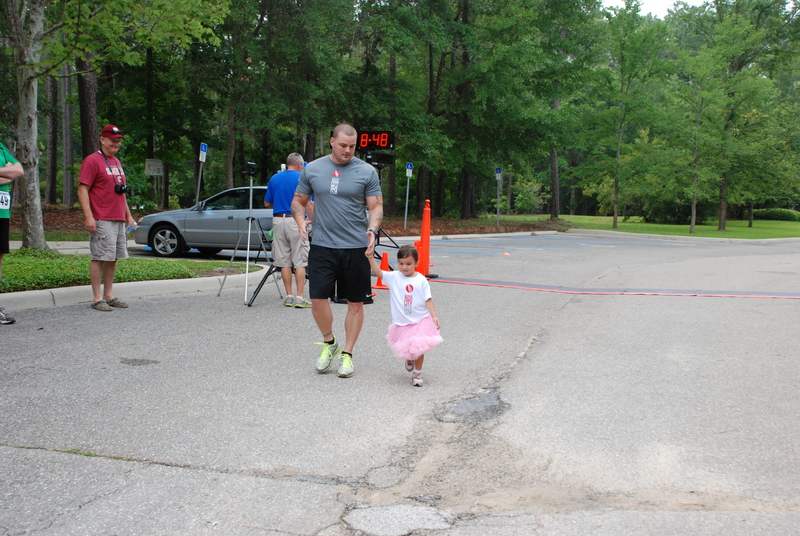 The Run Around the Lakes would be the first time I ran without a stroller and it would be the first time my 4-year-old raced in her first 1 mile Fun Run. We got off to a pretty easy start on race day. 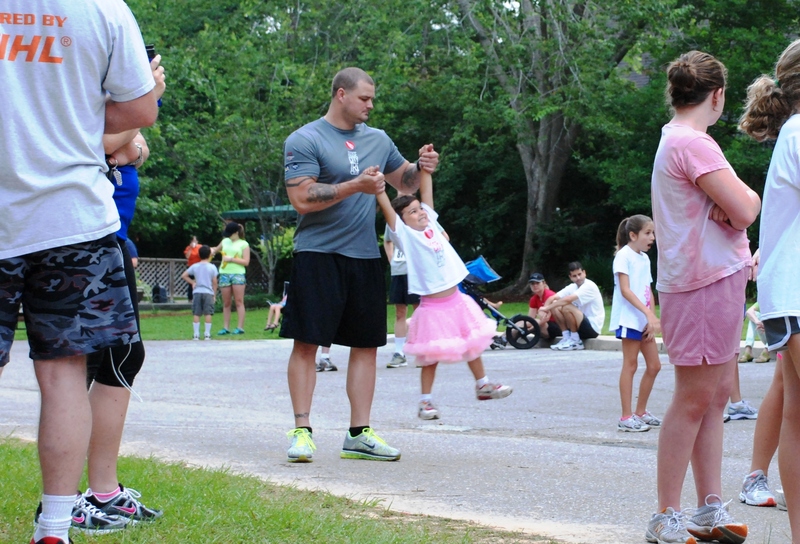 In true skirt day = run day fashion, my munchkins picked out pink tutus and running shoes for race day. The race location was 25 minutes away; with an 8:00 1 Mile Fun Run start and 9:00 5k start we had plenty of time to get there and situate ourselves. 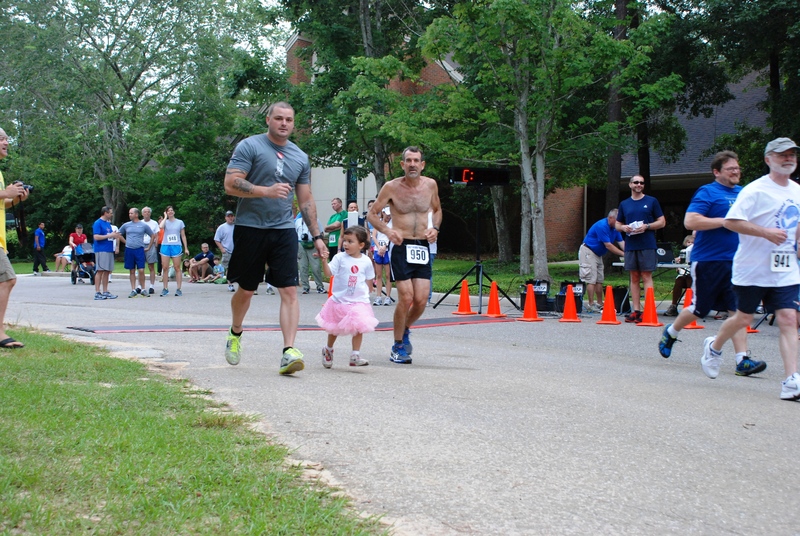 Tallahassee mornings in June are warm and humid, and today was no different. Prior to March 31st, I had no plans on racing in the Madison Sprint Triathlon on May 4th. In fact, I had planned on going out to support my Tri club with a camera in hand. However, my dismal bike ride at Red Hills on March 31st left me determined to prove to myself that I could ride faster than 11 mph, not that 11 mph is bad, I just knew I was capable of better. 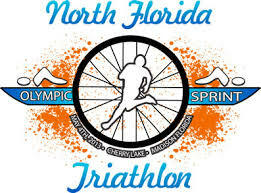 So, after the Red Hills Triathlon on March 31st, I signed up for the North Florida Sprint Triathlon in Madison, Fl. This race also offers an Olympic distance option. Part of me wanted to sign up for the Olympic distance, but the thought of swimming out twice as far, instead of swimming two short loops quickly helped me make up my mind about the Sprint distance. I maintained the same training schedule that I had up to the Red Hills Triathlon so that I wouldn’t try and bike too much. I didn’t want to change my training much because I wanted to get a true gage of where my cycling actually is. As race day neared, I realized that this race was going to be a little different from the previous triathlons I had done. For the previous three races all I had to worry about was getting me and my gear ready. For this one, I would be taking my little girls with me and they would be watched over by some amazing mom’s in our tri club. Still, I had to get their gear, diaper bag, snacks, and sleeping arrangements ready in the car. 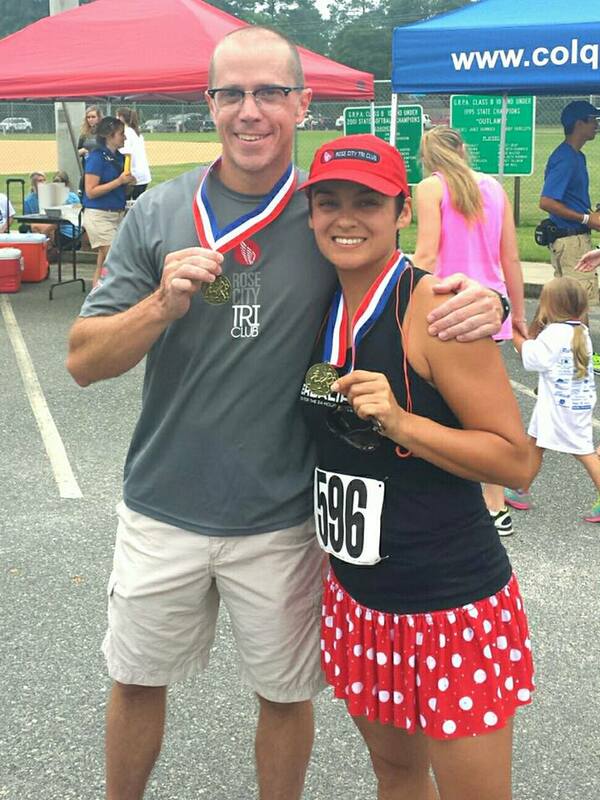 Running was the EASY part…. Last Saturday, 3.9.2013, was a chilly morning and I knew I would need to bundle my little munchkins up. My race prep started Friday night at 8:00 p.m. First thing I had to figure out was how to get the double jogging stroller into the GTO coupe. It did not fit in the trunk and I couldn’t put it in the backseat since I had two little girls back there. I ended up taking all 4 wheels off and somehow managed to get it to fit in the front passenger seat. 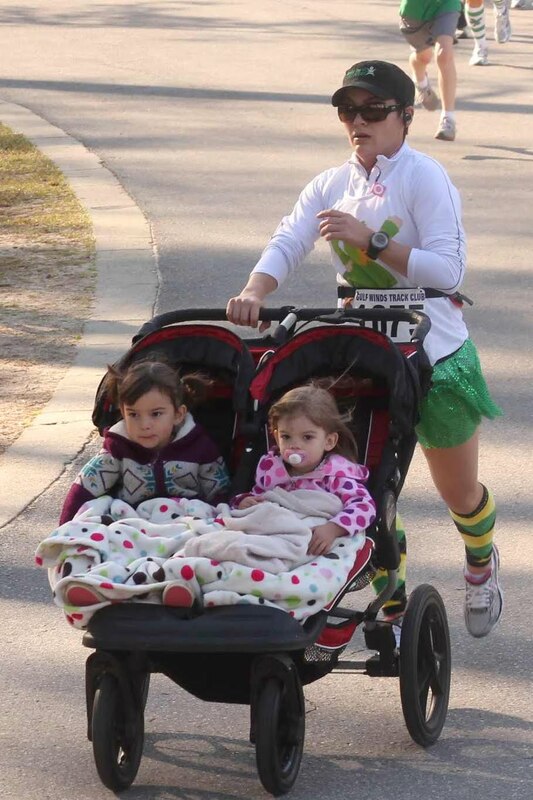 Once I got my girls to bed, I continued getting our race gear together – included my racing gear layers, belt, iShuffle (charged), outfits for the girls, mittens and beanies for the girls, extra blankets, stocked diaper bag, juice cups, and snacks. I called it a night about 11:00 p.m. and still wasn’t sure if I had everything together. RACE DAY… my morning started just before 5:00 a.m. Got up, showered, put together my post-race Costco shopping list (sounded like a great idea at the time) and threw all remaining gear in the trunk of the car. In hopes of getting to the race location by 7:45 a.m., for the 8:30 a.m. start, I knew I needed to leave the house by 7:10 a.m….. at the latest. Normally parking is not much a concern, but when you have to situate a double jogging stroller, two little girls who might be cold, and little bitty bladders, parking suddenly becomes more important than you can imagine, especially when you have 2 yr old that thinks she is supposed to wander off every time she gets out of the car. I woke my girls up at 6:30 a.m. and through fussiness, sleepiness, and whininess, I got both girls ready and had a tasty Honeybun waiting for them in the car (my incentive to get them into the car, sometimes motivation comes from unlikely places). We managed to hit the road by 7:15 a.m. No worries, this momma could make up the time in the GTO. As they enjoyed their Honeybuns, I ate my banana and drank my Herbalife24 Prepare to get me ready for the race. We managed to make it to the race location at 7:50 a.m. and got a great parking spot in the main parking lot. I was beyond thankful. Another MRTT Tally member had picked up my race packet the day before and I ended up parking about 100 feet away from her, lucky me. She gave me my race packet and back to the car my girls and I went to get ready for the race. Next was the fun step of getting the girls set up for comfort; which involved getting the stroller out, attaching the wheels, getting the girls in the stroller and situated with blankets, juice, and snacks. Then, it was off to find a potty for my little preschooler bladder. Oh, the joy of pre-race women’s bathroom lines. I know I need to say no more here.